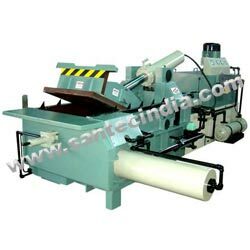 Hydraulic scrap balers presses are suitable for all kinds of scrap materials like steel shavings, scrap steel, scrap aluminium, scrap copper, scrap stainless steel, plastic scrap, rubber scrap, paper scarp, etc. They not only decrease the cost of transportation and smelting but also increase the speed of of the entire process. Hydraulic balers are applied in steel factories, recycling industries and ferrous metallurgical works.